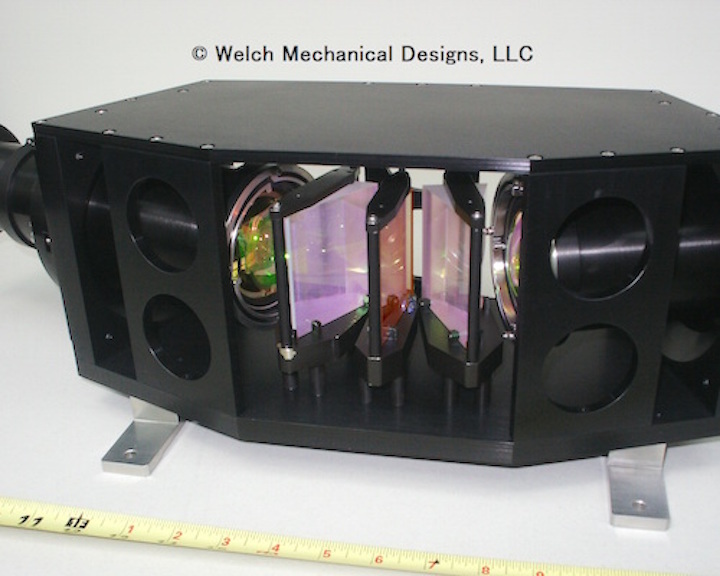 Welch Mechanical Designs has designed and built several refractive spectrometers. Some of these designs have developed into production runs. 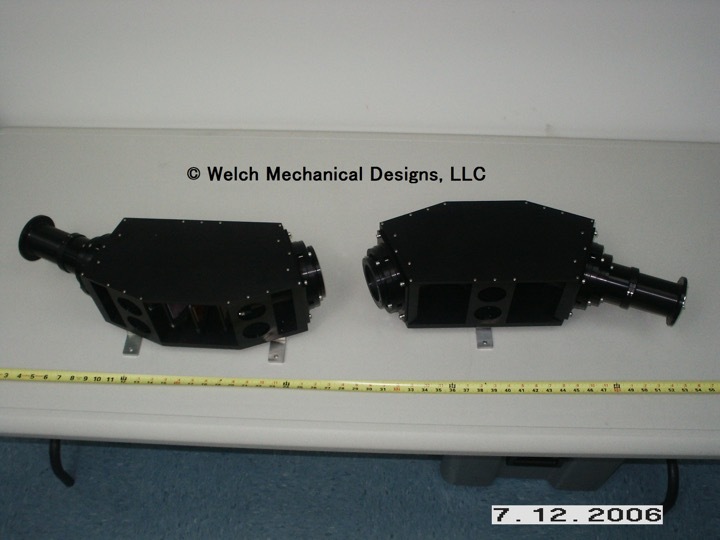 We manufacture these spectrometers in a variety of housing types to best meet customer needs. 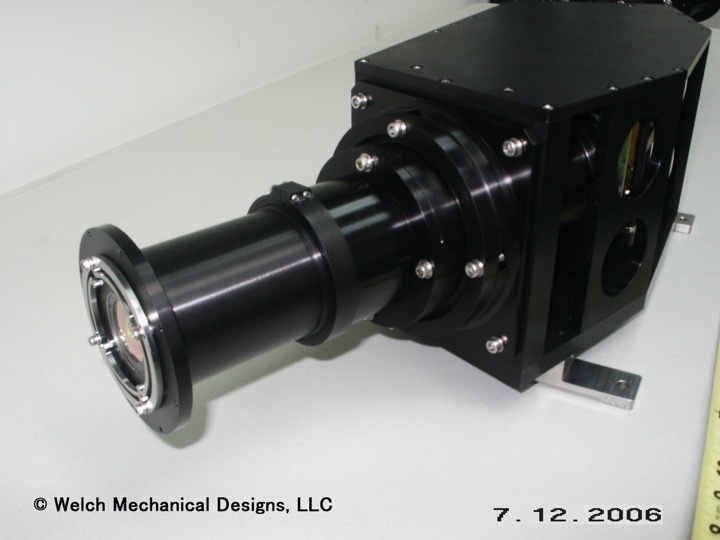 A refractive spectrometer brings light into the instrument through an objective lens assembly, passes the light through a slit with typical dimensions of 10 mm x 10 microns, refracts the light through one or more prisms, and then refocuses the light through another lens assembly and onto the Focal Plane Array. 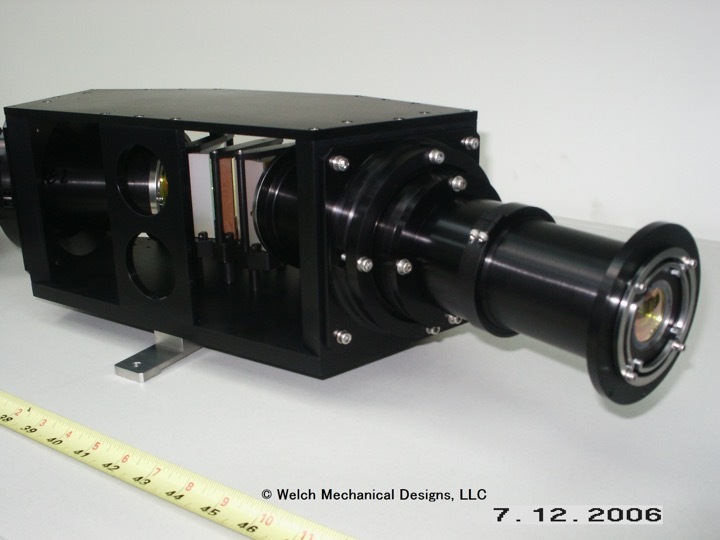 All WMD spectrometer designs minimize degrees of freedom for alignment to minimize alignment time and ensure long term optical stability. Our spectrometer systems have deployed in rugged environments such as aircraft and spacecraft and retained alignment performance. 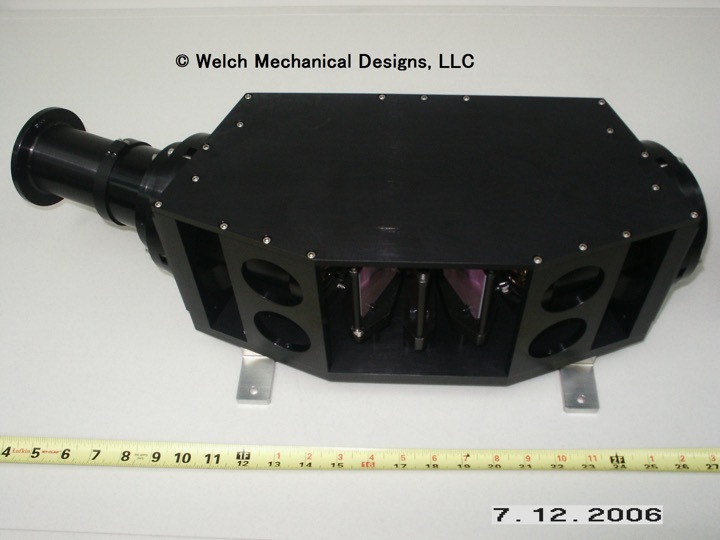 WMD is an industry leader in custom spectrometer design and manufacture. Also, we manufacture several types of diffraction gratings. Please contact us for more information or to discuss your spectrometer needs.